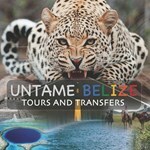 Belize Garifuna Cultural Tour The Garifuna make up just 8% of Belize’s population, but their unique culture has been recognized by the United Nation for its language, music, ... moreand dance. Originally from the island of St. Vincent, the Garifuna are a mixture of enslaved Africans who intermarried with indigenous islanders. 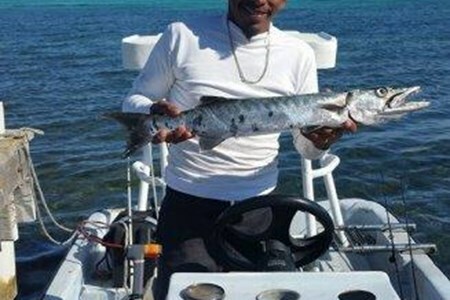 After a failed uprising against the British, the Garifuna fled to the shores of Belize. 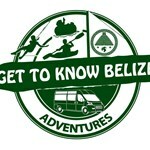 This tour takes participants to the village of Hopkins situated on the beautiful Caribbean coast of southeastern Belize. 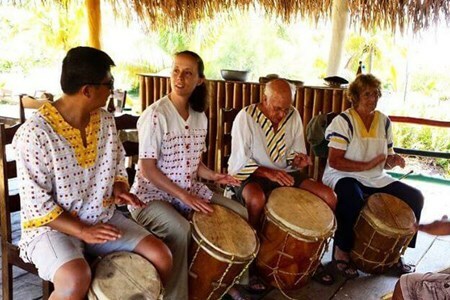 Participants will don traditional Garifuna clothing while learning about life in this traditional village and the history of the Garifuna people. 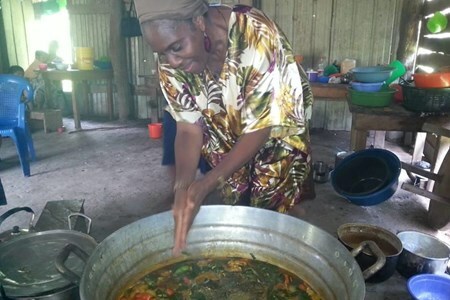 Participants will also work together to gather the ingredients and then cook a traditional Garifuna dish known as hudut. Hudut is the Garifuna variant of a coconut fish stew, cooking local fish in a creamy coconut milk mixture and then served with a side of delicious boiled plantains. 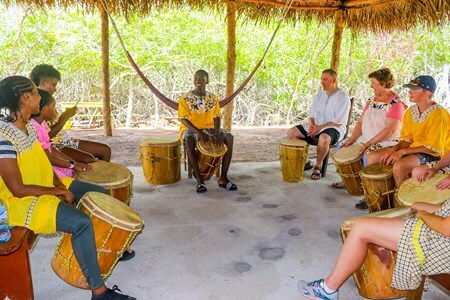 Following the meal, participants will enjoy a performance of Garifuna drumming and then learn to play several traditional Garifuna rhythms. Learn about the many magical and beneficial properties of coconuts and the art of the traditional coconut milk extraction. Master the heat of traditional kitchen preparing a Garifuna ... moremeal over an open fire hearth rewarded by dinner and enjoying the labor of love! Delicious hudut! 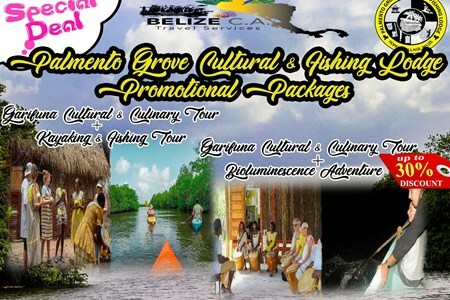 Culminate your Garifuna Cultural Tour with a sensational drum roll- drumming, dancing and singing revitalizing your soul. 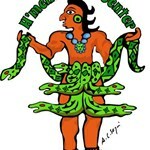 Part of Ka’ana’s spell-binding magic is its deep roots in the Maya culture. 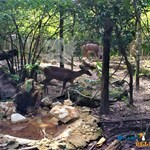 Most of our guests are left with a sense of wonder at the rich history of the Maya people. 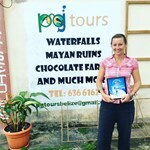 If you can’t ... moreget enough and would love to experience Maya culture in a unique way, let us to take you and your taste buds on a culinary journey! 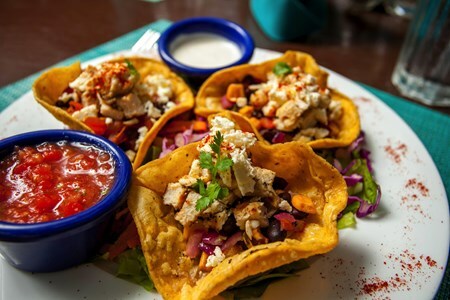 Maya food is steeped in a thousand years of history and tradition. 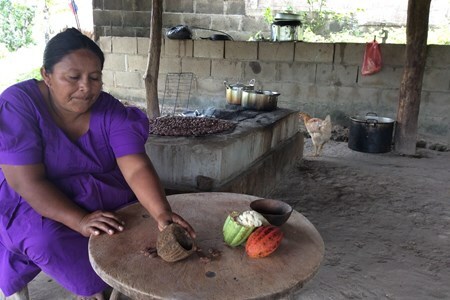 Maya cooks still use ancient methods to prepare flavorful meals for their families. 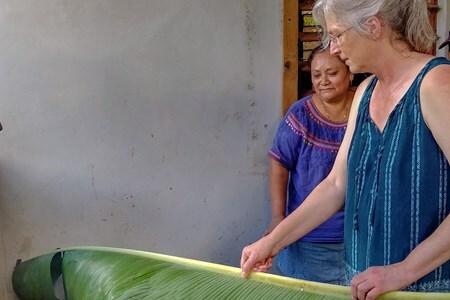 In this class, you’ll create classic dishes like tamales, corn tortillas, and caldo using the fogon, an authentic Maya stove, in our remake of a traditional kitchen. 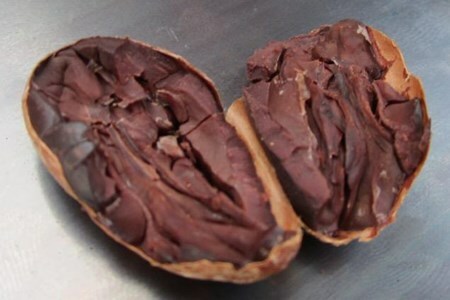 Discuss techniques and flavor profiles of the Maya and then enjoy the fruits of your labor. 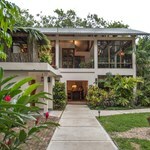 This tour will take you to the charming village of Gales Point. 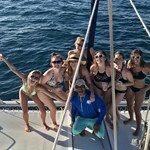 Easily visible on a map as a long finger stretching out from the mainland, Gales Point is one of the most beautiful ... morespots in Belize. 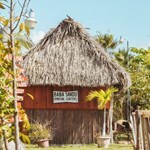 The local Creole villagers in Gales Point are the guardians for the protected feeding and nesting grounds of two of Belize's most endangered animals: the Caribbean Manatee and the Hawksbill Turtle.On this tour, you will visit an inland cave where you will see manatees and afterwards you will experience the unique Creole culture in the form of music and food. 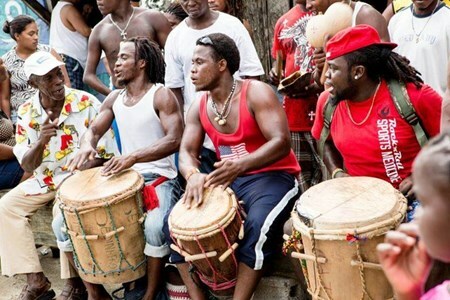 Amongst the most popular styles of music created by Creole musicians is brukdown. 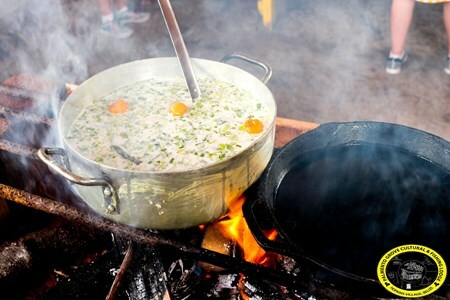 Some of the basic food of the Creole consists of rice, beans, bread, chicken and fish. 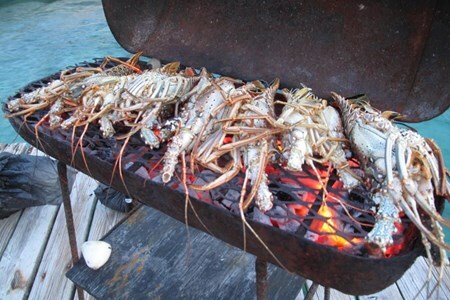 Creole dishes are not only exotic in flavor but very delicious and some of the most popular dishes are rice-and-beans, cowfoot soup, crab soup, stew fish, boil-up, and conch soup. 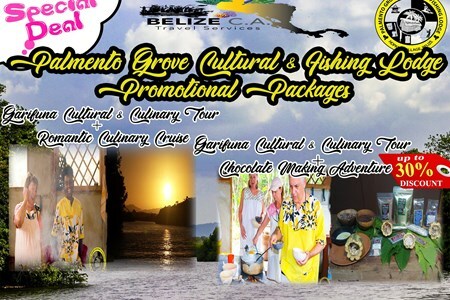 Come and enjoy a fun filled day on our Garifuna Cassava Farm Tour. Come witness the traditional life of our Garifuna farmers; maintaining endless rows of cassava beds and reaping the ... moresplendid crop from their labor. This wonder crop has been loyal to the Garifuna people since their movement through the Caribbean by being the main staple in their diet and can last up to several years without spoiling. 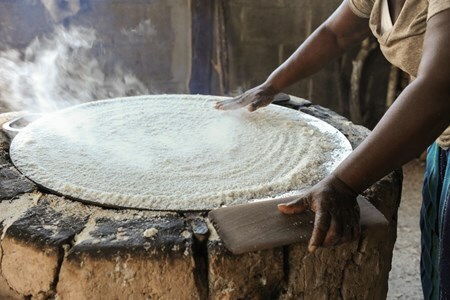 Therefore, come and enjoy seeing first hand how to prepare cassava bread from the plant to the finishing product and also come enjoy the delicious byproducts such as the scrumptious cassava pudding. It includes round trip pick up and drop off at your hotel. The owners will also be your instructors for the day as they take you through the amazing cassava mazes they have worked so hard to maintain. Ending with a tasting of all the byproducts produced by the cassava during that tour. Your sweet tooth will surely be satisfied as you get a taste of the mouthwatering cassava pudding prepared from scratch with all natural ingredients. 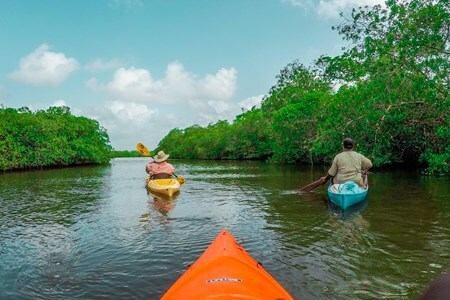 Explore the enchanting ecosphere of Freshwater Creek Lagoon - the Garifuna Way beginning at 7:30 AM!!! 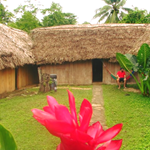 Palmento Grove Cultural & Fishing Lodge sits along the Fresh Water Creek ... moreLagoon offering a remarkable experience that includes kayaking, fishing & cultural food exploration. Discover all of its marvels- the lagoon's history and its beauty! Grab a paddle and glide along the cool and calm waterways with your family while being guided by an indigenous fisher-folk. 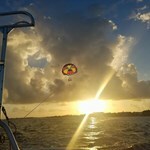 Explore the splendor of this ecologically important watershed and its breathtaking views of the Maya Mountains & the Caribbean Sea. 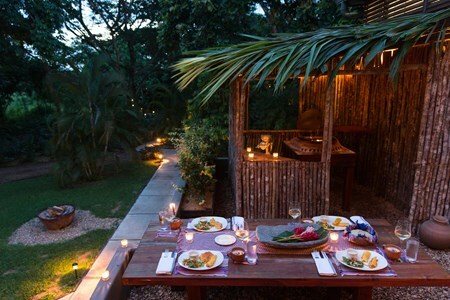 Relax on the beach or at the lodge where the catch of the day is grilled and served with the best of cultural starch & dessert, fresh vegetable salad, and fresh fruit juice or cultural Drink.